Here are 10 Creative Journal ideas that you can use for your titles or journaling themes. 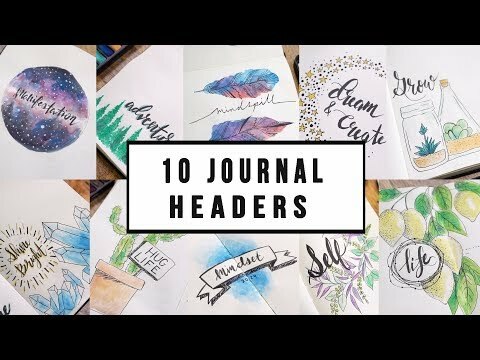 These are great inspirational ideas and doodles to help you setup your next bullet journal or art journal for your 2019 journal set-up! I’m using my watercolor palette that comes with the Creative minds journal.